How many people coming this forum reguraly plays Minecraft...? Kind of curious. 1.3 seems to be another good update. 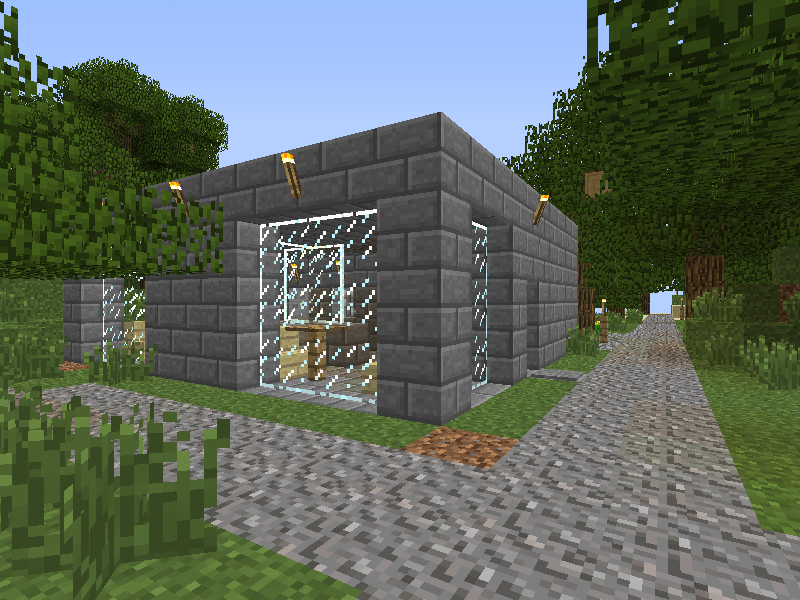 I'm having trouble with the weekly snapshots now that SMP==SSP. :-( It lags badly on my machine. There's so much great stuff in 1.3, for sure! I love that they're continuing development, just like Simutrans. My two favorite games - I used to love Rigs of Rods until the admins decided to treat me poorly, so now I'm down to two - and they're both wonderful for that. Maybe we'll have to split THIS topic in a bit? Okay, just split the already split topic. EDIT: I edited the first post of this very topic. I placed a link for people to learn about the game. Same here, I create small settlement here and there and make some kind of path. Someone wants to make pakMinecraft? Yeah, I kind of thought the pakBOX would be like a Minecraft themed pakset when I saw the said topic at the first time. 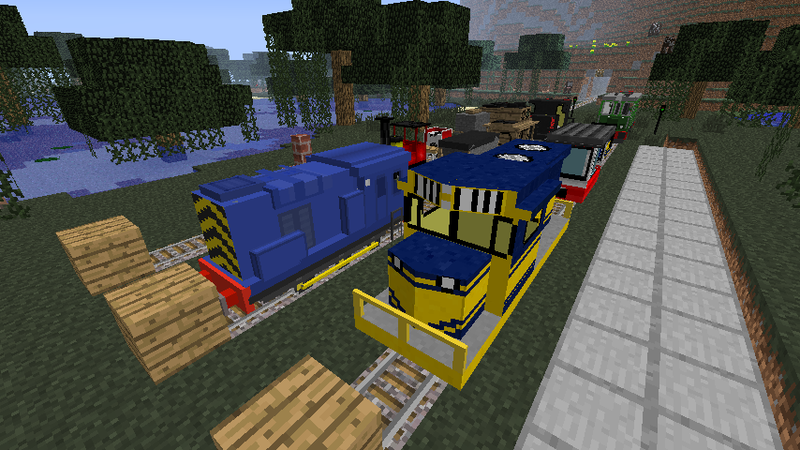 But still, it would be a good excuse to promote Simutrans in Minecraft forums. I remember OTTD was mentioned (or reviewed) somewhere there. Heh. I avoid the Minecraft forums... too many kids on there. r/Minecraft is much better, if still a bit irritating. Well, just push this topic to a Simutrans theme. 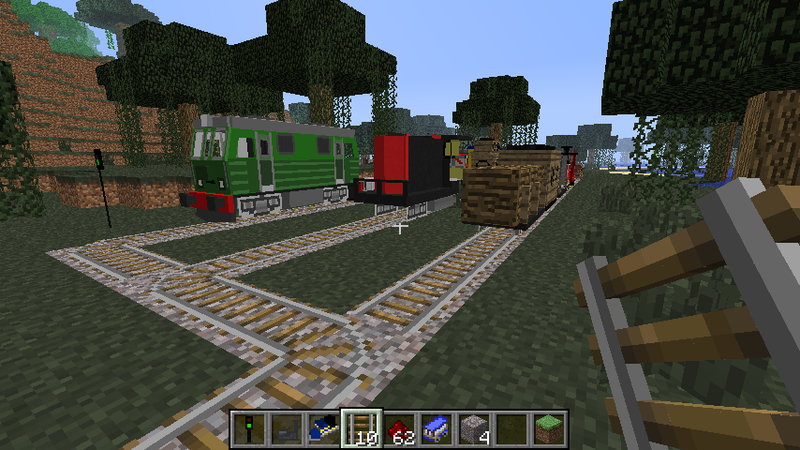 Yesterday, I was trying a modification for Minecraft, called Train Mod, which adds locos to the game. Still trying the locos, but I haven't still built anything worth noting with it. Thanks for the video. Have great fun watching it. 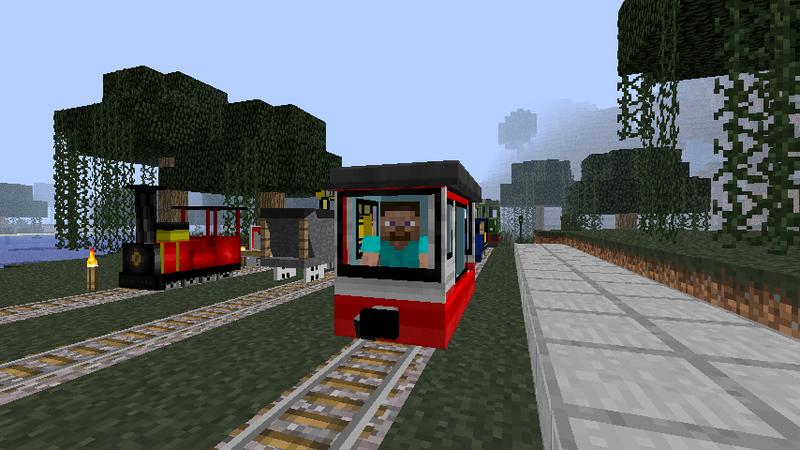 It would be funny if villages generated need for transportation, both passenger and cargo. 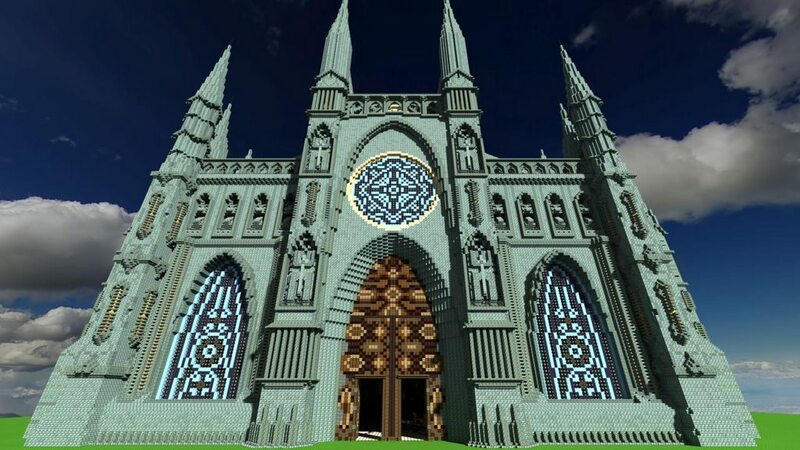 Some minecraft players are just..... WOW! I like clever builds that are reasonable. It's much more difficult to do awesome things with those constraints. It seems a bit Simutrans-ish, resembles a bit pak64 during 0.84 era. 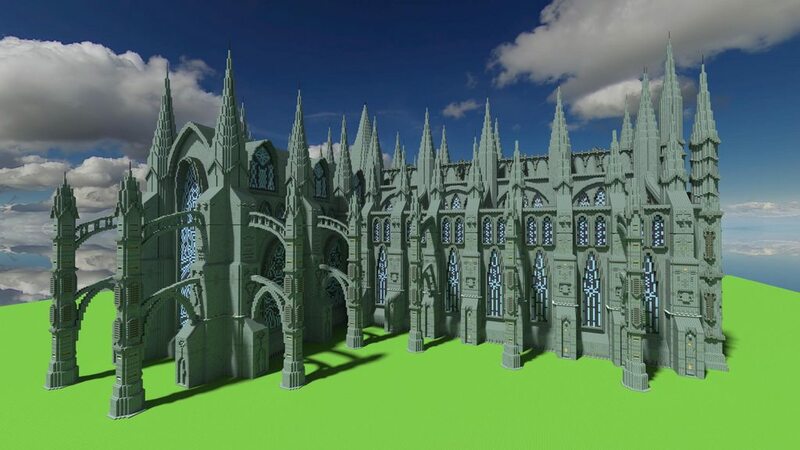 Those buildings may be still good enough for a 3D simutrans. Even more, they might be well suited, since such would allow for decant fram rate without high end graphic adaptors (or even on devices without graphic accellerators). Oh... minecraft have been taking over almost most of my free time since few month. Especially after 1.4.2 update. Exploring, building, harvesting, item managing, fighting mob action and such. Although simutrans keeps pulling me. There are numbers of interesting discussions going on at this moment. I thought having interest, hobby in multiple area seemed good until some point but I'm getting confused. A new texture pack is out. It's called Real-life HD. I tried removing one block of dirt with such texture pack once ... it's very hard to play -__-"
What is left to do is finding two NPC villages, building a line with two stations, and make profit ! Even more bugs and lag in MC ? It could be worse, EA could have bought them. I guess their first priority is porting switching over from Java to C#, although Microsoft do have the nerve to show up at Java conferences. I don't know. Microsoft has bled dry some successful game companies before. BAO, Ensemble Studios and Digital Anvil all made games I like only to be consumed and dissolved by Microsoft. The former two even made the flagships of Microsoft games back in their time. I never got into Minecraft, though, so maybe it will survive. My humble opinion: They will make sure xbox gets full features and support. Probably not touch the main development too much - to port to C#, they'd probably have to hire developers to do that. And maybe they will. In such a case, 1.8 is probably it for me - I run on Linux, and they'd probably drop that support. Unless there's a lot of Linux players and they realize that AND they want to monetize it rather than just preach Windows-- they do sell Office for Mac, for instance. It really needs performance upgrades, a game with such "stupid" graphics run **** slow on my laptop (and this was with version 1.5 I guess) but Skyrim runs really smooth. I don't know. Microsoft has bled dry some successful game companies before. BAO, Ensemble Studios and Digital Anvil all made games I like only to be consumed and dissolved by Microsoft. The former two even made the flagships of Microsoft games back in their time. After 2008 they closed many companies, but if you look when Microsoft bought them the games kept good quality - Age of Empires III is as great as all the others - but if we look at EA, only some Maxis games 'survived' for a little period of time. Oh, and HALO is still on. I didn't say the effect was instantaneous. But where is Combat Flight Simulator 4, Age of Empires 4 (I do however find AoE3 claustrophobic compared to the predecessors) and Freelancer 2? (Freelancer did however probably mostly kill itself.) It does however seem that Microsoft has revived Microsoft Flight Simulator. Probably not touch the main development too much - to port to C#, they'd probably have to hire developers to do that. I'm not sure how benefiting it would be if MS port MC to, say, C#. 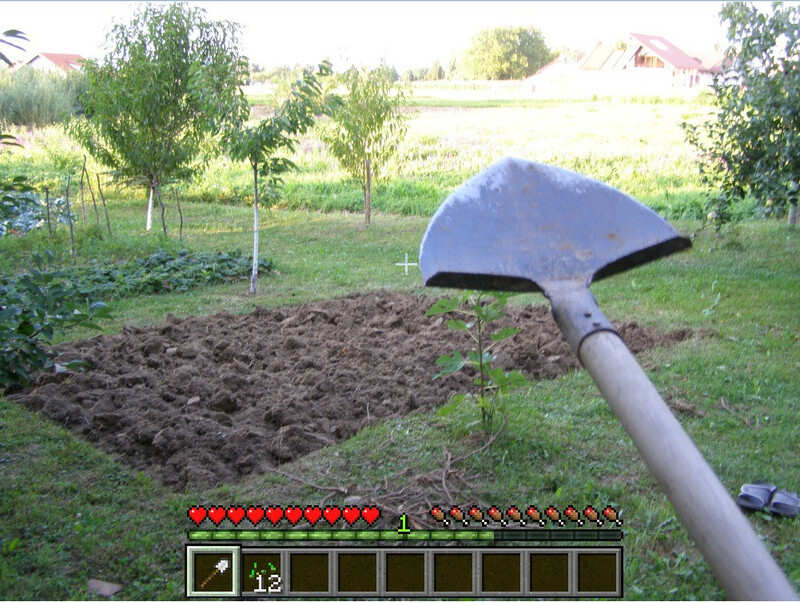 Minecraft alone is pretty much a sandbox building simulator with RPG elements (when I purchased the game even those barely existed, I did for its building aspects), it's deeply unbalanced and lacks proper code optimization, it's also known for its "Notch's code nightmare" among the coding community. On the other hand, there are an active modding/plug-in community which outdoes and sometimes fixes Mojang's job; they produce and add a lot of new content in the game. 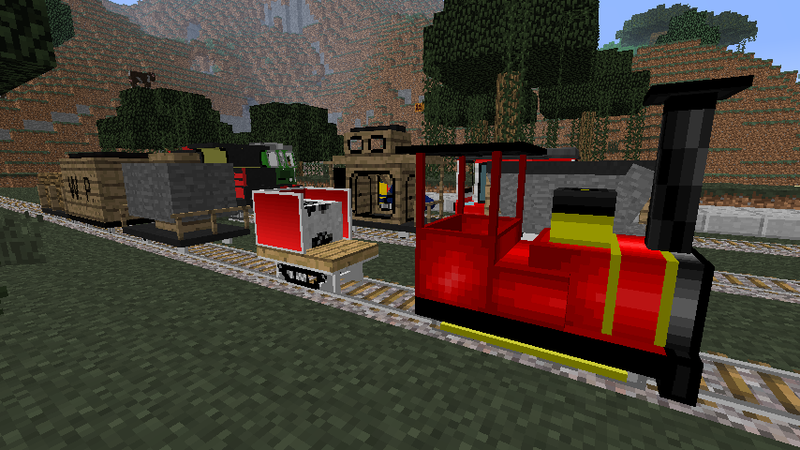 I myself rarely play the game without mods, if I join a server this is run with tons of mods and plug-ins. The mods I use add some aspects of logistics, engineering, architecture and technology, I'd have quit the game long time ago if mod didn't existed. I believe a lot of people would as well as the reasons to be playing the game would be limited to resource gathering, landscape design and role-playing pretty much like kids with sticks and paperhats make-believing they're knights. You can tell that just by searching "Minecraft" on YouTube. Well, if MS ports game from Java to another language, they may end up alienating the modding community which would move onto another game or create their own. End result: huge brickstorm along with unnecessary competition. 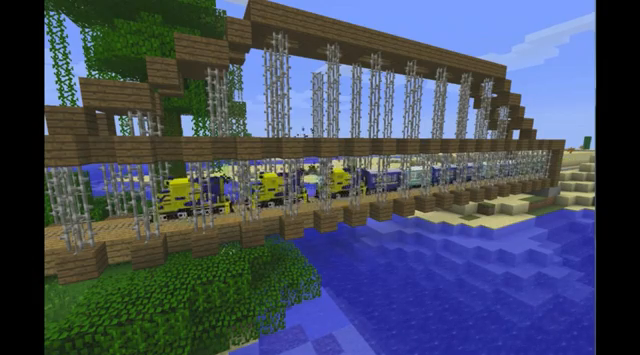 EDIT: Minecraft's success case results of a tripod made of "building is fun", YouTube videos and modding community. If smart enough, I would not touch any of these even with a 10-meter pole. It was a joke and it had nothing to do with benefits of porting, but on enmity between Microsoft and Java. It was inspired by the controversy between Microsoft and Sun/Java way back when, which may or may not have caused Microsoft to develop C# and CLR. Minecraft has already been ported to C for some platforms according to Wikipedia. it's deeply unbalanced and lacks proper code optimization, it's also known for its "Notch's code nightmare" among the coding community. So Simutrans is of about the same quality as something worth 2.5 billion dollars. Now you made me chuckle. 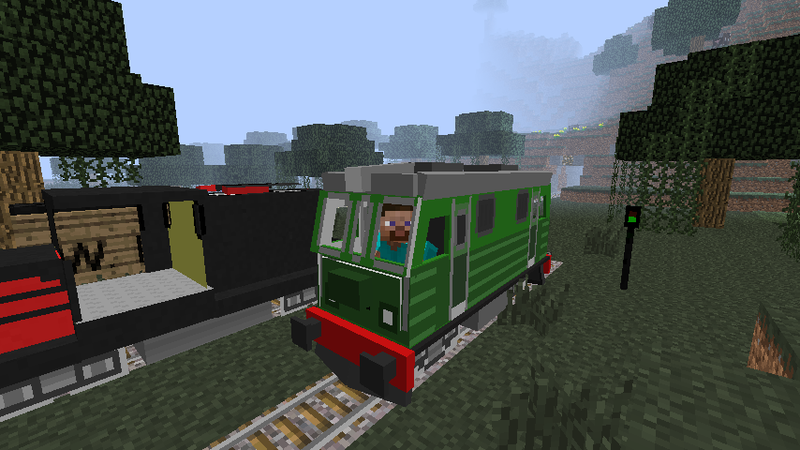 I've been playing Minetest - http://minetest.net/ - just because it runs so much better on my old computer. With the "Carbone" game, it's pretty satisfying, although there are even more bugs than Minecraft. Honestly, as a person who has played the game for almost 3 years, from a game-design standpoint Minecraft represents everything Simutrans must avoid: rampant feature creep, absurd quantity of long-lasting gamebreaking bugs (some bugs are over 2 years old, e.g. boats break for no reason, animals die just by touching floor and walls etc), lots of unfinished and badly implemented mechanics, graphic and engine lag, glitches that punish non-occasional players... It gives the impression the developers barely implement a feature and then they move onto a next idea for sake of novelty or community demand. 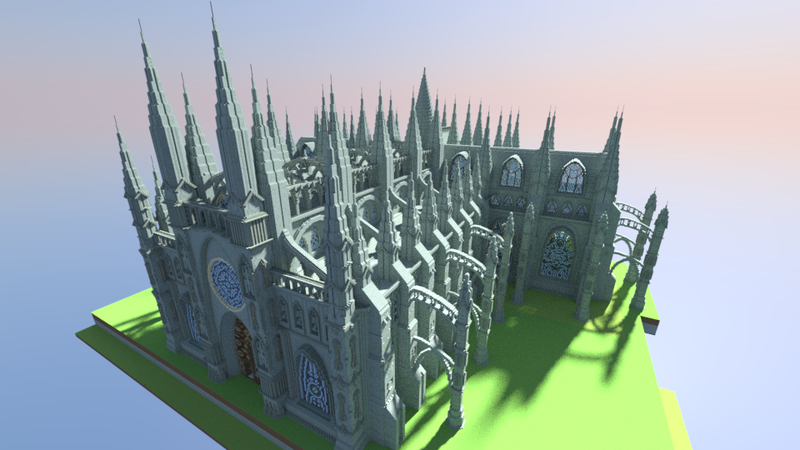 The game has turned from an engineer's sandbox into a RPG simulator. 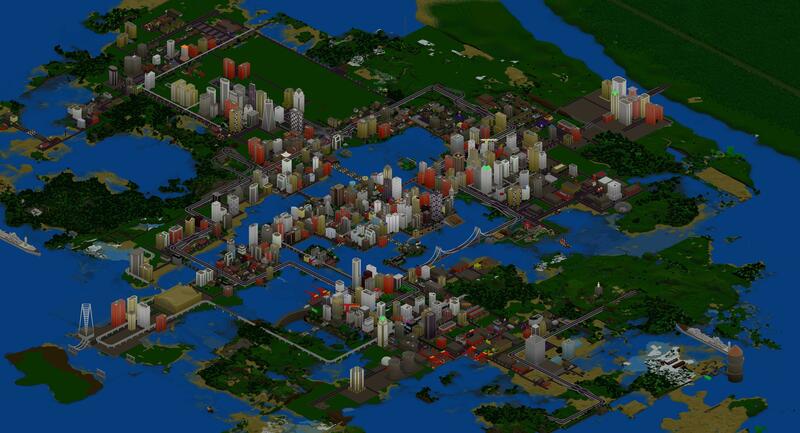 Simutrans, as a game maintained by people in their spare time for 10 years, is in good shape.